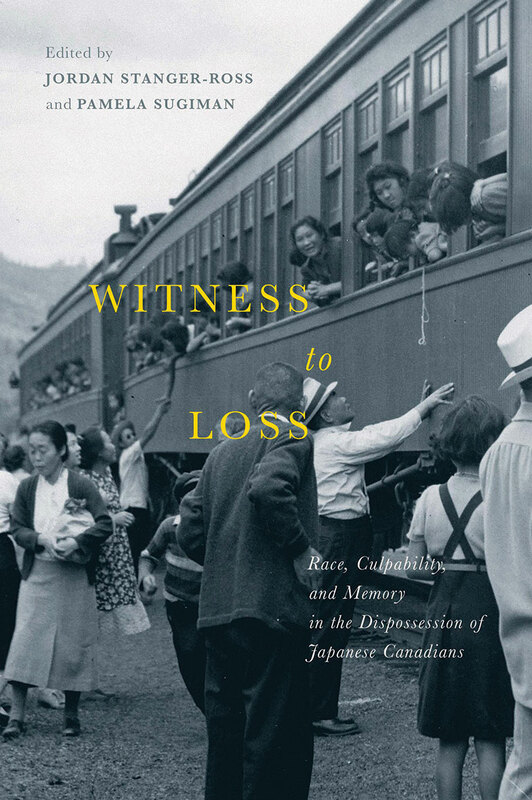 Witness to Loss reminds us of a difficult chapter in Canada’s history — the dispossession and internment of Japanese Canadians during the Second World War — through the lens of one man and his complex relationship with the racist world of 1940s Vancouver. Editors Jordan Stanger-Ross and Pamela Sugiman present the memoir-in-translation of Kishizo Kimura, who details his involvement with wartime committees that facilitated the coerced sale of Japanese-Canadian fishing boats and property. Historic photographs, including a striking shot of hundreds of impounded boats floating together at the Annieville Dyke, and reproduced newspaper clippings bring Kimura’s memories to life. While his writing can be stoic and technical at times, Kimura’s message to later generations betrays his desire to defend his actions: “We swallowed our tears.” His was an internal struggle, a careful negotiation with institutional racism, grounded in his belief that his “obedience” was an act of quiet advocacy for his community. Stanger-Ross and Sugiman — both of them university professors involved with the Landscapes of Injustice project regarding the dispossession of Japanese Canadians — rely on the reflection and analysis of academic historians, some of whom also have family histories of internment. These essays push the discussion beyond simplistic binaries of right or wrong, victim or collaborator. For readers, the experience is illuminating and challenging — unsettling at times, but ultimately worthwhile. Book Review: Set in a raucous era of rum-runners, molls, and corrupt officials, The Whisky King is a most enjoyable read. Book Review: Andrew Scott dives into the history of utopian British Columbia settlements, unpacking 150 years of alternative and experimental communities that have both flourished and failed on B.C. soil.